Kids N’ Kritters is sponsored by our community through Heritage Program Memberships! 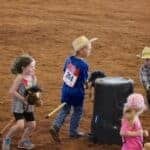 Kids N' Kritters (was Family Rodeo) is intended to give kids ages 3-11 the chance to have western themed fun, with as much direct animal participation as they (and their parents) are comfortable with. Kids N’ Kritters is a Saturday morning event at Roots N’ Boots Queen Creek. 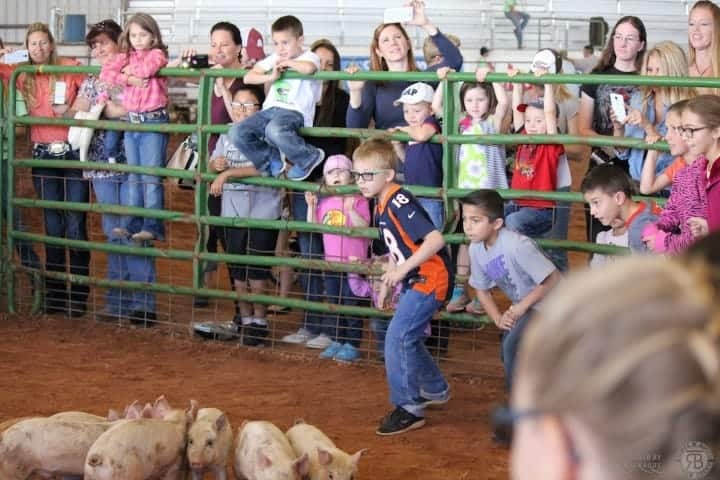 Your children ages 3-11 will have the opportunity to get up close and personal with animals, and compete for incredible prizes – and entry for all kiddos is FREE! 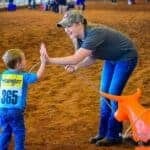 Formerly known as “Family Rodeo”, this event was winner of the APS AzTec award for Best Family Event in 2017. Our ag related activities are designed to allow youth to participate in a variety of activities depending on child age and comfort level. 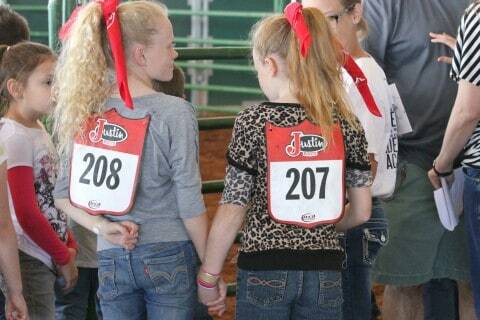 The little buckaroos will even get a back number just like the Pro Rodeo Cowboys and Cowgirls! 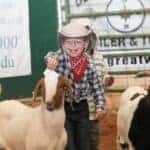 Livestock experience is NOT required – just come along and join the fun! Worried about the weather? No problem! All activities are held under the Covered Arena so Kids N’ Kritters is held Rain or Shine! Organized by the Queen Creek High School FFA program, this event is a crowd pleaser! Be sure to invite grandparents, aunts, uncles, and friends to come along and watch the fun! 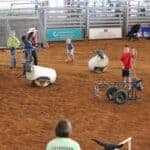 For older family members and friends, check out the Ranch Dressing and Xtreme Teen Rodeo competitions also held on Saturday at Roots N’ Boots. · 9:00-Noon* Activities are open! A release of liability will need to be signed by the parent or guardian of each participant. To save time the morning of the event, it is suggested you print and complete your forms ahead of time (Forms are available here for printing.) and bring them with you. You may also complete the forms at the event, but remember a parent or guardian will need to be present to sign the release. 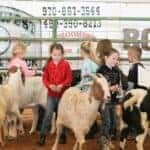 If you are participating in Mutton Bustin’, you will need to complete and sign TWO release forms. 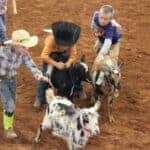 Participants will be provided with equipment and items needed to participate in the event, including a helmet and vest for Mutton Bustin’. Closed toed shoes are recommended. 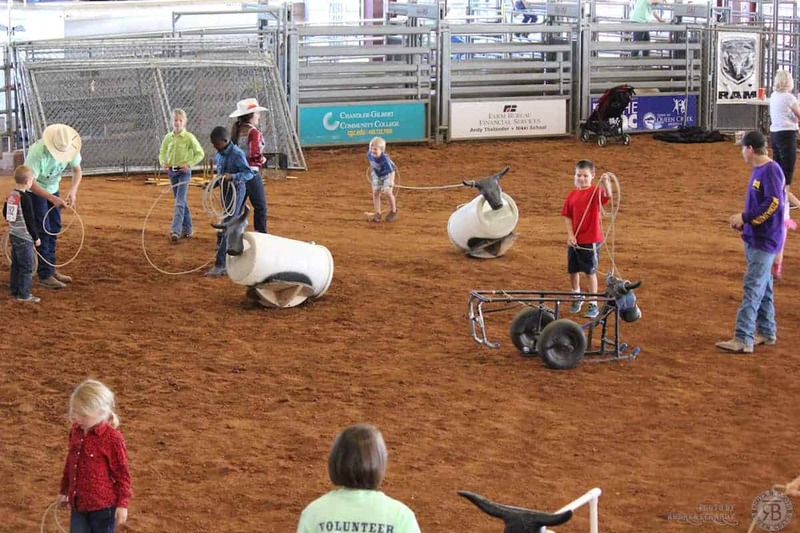 Kids may bring their own ropes for the Learn To Rope or gloves for Mutton Bustin’. *The welfare of the animals is important to us. Please note times for animal activities may be changed due to weather or animal safety. Poultry Sorting is scheduled from 9:00-11:30 with awards scheduled for 11:45am. Any activity involving animals will close for 10-15 minutes each hour to give the animals a short break. Want to see the fun? Check out videos of past Kids N’ Kritters events here. During each hour, age groups will be rotated so that you and your family can participate in activities of your choosing! Need to take a short break? No problem, when you are ready, you can head on back and “jump in” when your child’s age group is called again. Just be sure to watch the time! How will you know where to go for your kiddo? Our announcer will tell you what activities are happening for each age division, and the Queen Creek FFA members will also be on hand to direct you! Many LUCKY EXHIBITOR prizes this year! Listen for your child’s name and number – if announced you will have 15 minutes to get to the announcer stand to pick up their prize! We have late registration this year – however it is recommended that you arrive as early as possible in order for your children to compete in all the Kids N’ Kritters activities! Please, no requests for siblings or friends to participate together unless they are in the same age division. When you complete your Kids N’ Kritters registration forms, just let the registration folks know your kiddo wants to complete in this! They will assign you to a group – and you will listen to the announcer to call your group when it’s your turn to ride! No standing in hour long lines! If you haven’t seen this before – you need to! 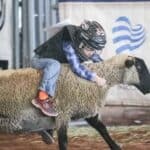 Our youngest buckaroos have the opportunity to ride a sheep! They are given a helmet with face guard and a vest, courtesy of Justin Boots, and then they are put to the test! A sheep is put in a chute and then the child is placed on the sheep. The gate opens and the child holds on tight to the sheep who runs out of the chute! 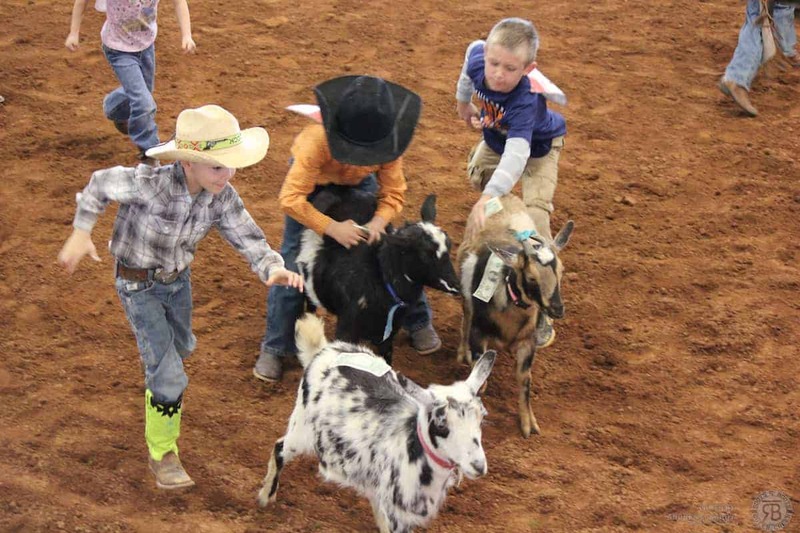 Kiddos who hang onto the sheep (by themselves) for eight seconds win a buckle donated by Justin Boots! Other prizes include Justin bandanas, and Montana Silversmith patches. Roots N’ Boots Queen Creek has a Double Chute! Each rider will still run by themselves, but with the double chute we will be able to load sheep and kiddos twice as fast. If you meet the age and weight limit, be sure to get registered for this event! 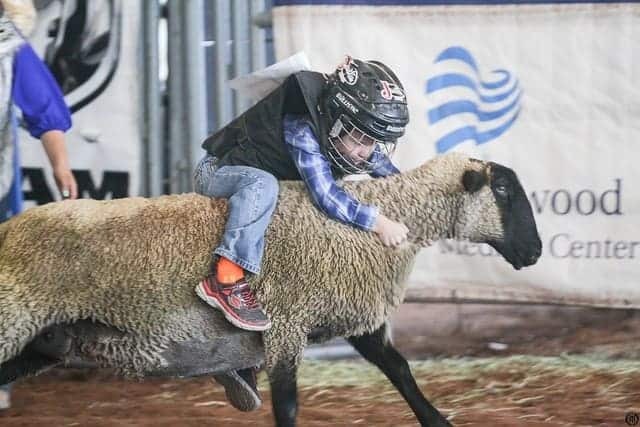 Note: The number of rides per sheep and the rider weight limit are for the safety of the animals; the number of rides per sheep may change based on weather and other factors. Have you ever wondered “which came first, the chicken or the egg”? Sorry, but this competition will NOT answer that question, but loads of fun will be had. This includes an egg and spoon race, but then…the chicken is added! All age divisions will start with an egg on a spoon – and run down and place the egg in a basket. Of course, if you drop the egg, you will have to go back to the starting line and begin again! Age Division 3-5: Grab a rubber chicken and run back to the starting line. Age Division 6-8: Touch a chicken! Then, run back to the starting line. Age Division 9-11: Pick up a chicken, stand up, then gently place the chicken back on the ground. Do not throw or drop the chicken or you will be disqualified! Once your chicken is back on the ground, run, run, run back to the starting line! And, you guested it! First one back wins a prize! 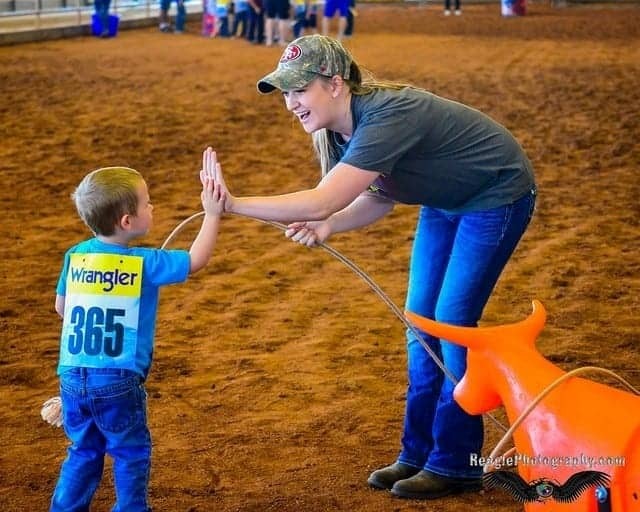 This is a crash course on roping! While not a competition, the first 100 cowboys or cowgirls will receive a RAM Rodeo Poster. All kids are welcome to come by and see our Queen Creek FFA volunteers and learn how to swing a rope – and if you are lucky you will may catch a “dummy” steer by the horns! This even is a “rope at your leisure” event, so come swing your rope between your other activities! Kids can come and try their hand (or should we say feet) at sack racing with a twist! They are given a feed or burlap sack to jump in, then quickly hop their way to the other end to quickly put on some rodeo clown clothes! Once dressed, they will run on back to the start line with fastest person to win a prize! Giddy-up! 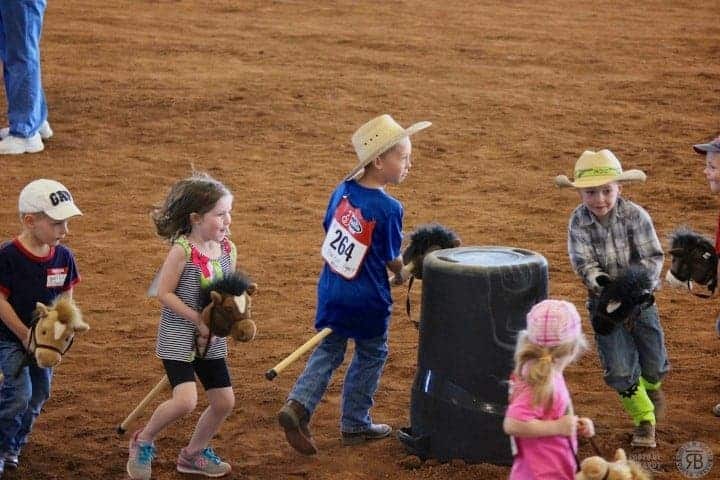 Each little buckaroo will get to ride their wild stick horse pony in a race! They will run the pattern with kiddos in their own age division – and race to the finish line! . 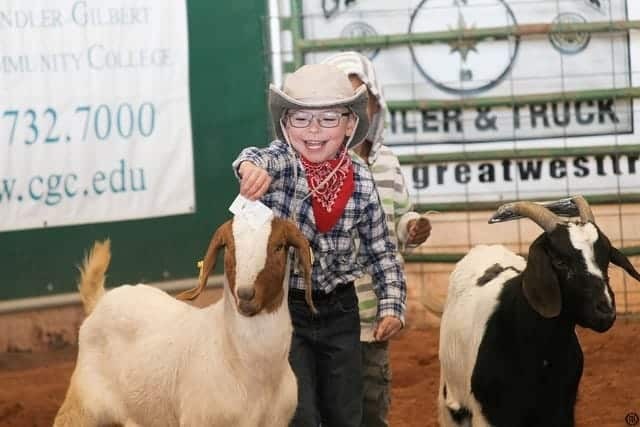 Queen Creek High School FFA Chapter Members will teach your little buckaroos about five different animals – what they eat, how to care for them, and even some fun facts about them. Be ready to ask questions “Why do chickens have feathers?” or “what do you call a baby goat?”. A schedule of demonstrations will be available the day of the event. Pigs and goats are hard to catch – and even harder for the Roots N’ Boots committee to get! 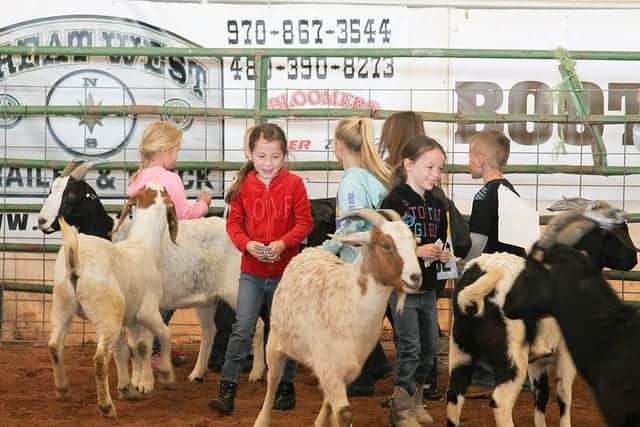 Subject to availability of young goats and pigs, we will have this activity at the 2019 Kids N’ Kritters Event! How does it work? Your buckaroo will still need to chase them! 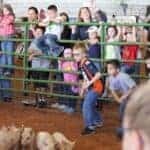 Your child will need to run after the animal, and the first child to pull the ribbon off the neck or tail, and waves it high in the air will win a prize! Want more FREE things to do Saturday at Roots N’ Boots? Check out the Ag Education AGtivities booth (north of the covered arena) as well as the Petting Zoo (southeast corner of the covered arena). Want a peek at the biggest horses around? Check out the Draft Horse Show. Singing and dancing more your tune? Check out the Entertainment stage. Do you have Teens? 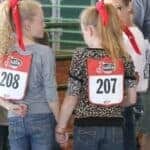 Join them Saturday afternoon at Ranch Dressing (ages 12+) and then watch the 12-19 year olds compete at the Xtreme Teen Rodeo! Oh, you can enjoy the FREE petting zoo and the Ag Education AGtivities booth all weekend long – not just on Saturday! Check the Registration table for updates when you arrive.